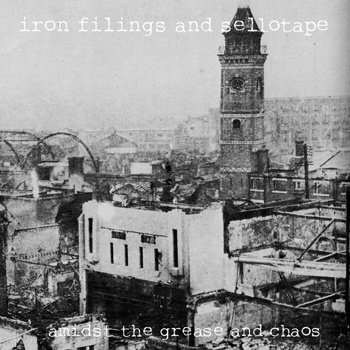 Interview with James Reindeer on the occasion of Iron Filings and Sellotape's 'Amidst the Grease and Chaos' re-release. We'll talk about the Decorative Stamp label and the man behind all these projects, his debut, his own production, his motivations and ambitions. We'll also talk about the artists and friends onboard, starting with co-founder and vocalist for A Band Of Buriers James P Honey, and many others in the fold of the Stamp family. Trip-Hop.net : So James Reindeer happens to be the man behind the Decorative Stamp label and behind the Iron Filings and Sellotape album, Amidst the Grease and Chaos, which drew much attention here on trip-hop.net. First of all, would you mind telling us about Decorative Stamp, the people involved and the reason why you decided to start a label? Indeed. Well, it is an honour and privilege being here, and yes, let's get involved! Decorative Stamp is a collective made up exclusively of good friends, established with a view to self-releasing projects from various combinations of members of our collective whole. It originally began with James P Honey and I working on our 'Rough Tongue Surfaces' release and deciding that we wanted to self-release it, simply to get it out into the world nice and quickly with as little fuss as possible, which was also James' idea behind the first Murmur Breeze release, which he and AbSUrd were finalising at the time. We really didn't have a master plan of starting a label, it just slowly grew out of what we were doing and out of the close relationships we were developing with other like-minded artists at the time. I don't think we really realised we had a 'label' on our hands until at least a year after the fact. For me personally, I think it began to get serious after I moved to Germany. I found myself needing to devote more and more time to managing the label, and then when Babel Fishh threw the first 667 EP on the table and Evak the second soon-after, we really cemented our relationship with the Cleaver League which had to that point been more of a touring relationship, and that really opened the Stamp up into the kind of thing I really wanted to devote a lot of time to. It all began to hang together in a way that really did represent the full spectrum of music that I wanted to work on, promote and support. 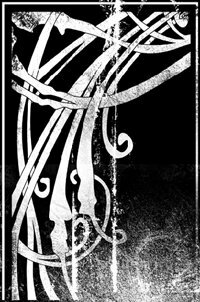 Trip-Hop.net : What is the origin of the name: decorative stamp? Do you care a lot about aesthetic, graphic design within the label? The origin of the name simply came about as a way of describing the actual stamp image itself. Honey wanted a symbol to stamp onto both the 'Rough Tongue Surfaces' (Jamesphoney & jamesreindeer) and 'Bird Irony' (Murmur Breeze) releases to let those keen enough to notice that they were both coming from the same stable. He talked about how we needed some kind of 'decorative stamp' that we could use as a logo. 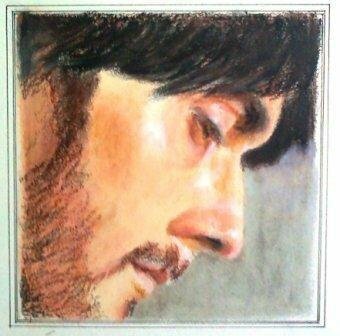 I remember he said that he would work on it and, as it turned out, he and Jamie Romain of the (Band of) Buriers came up with the 'stamp' by borrowing a very small element of a much larger image they had found, a little pen and ink work, perhaps a little Photoshop and there it was. As far as the aesthetic and graphic design of the label was concerned, Honey and I both agreed that it should be wholly 'neutral'. We were not planning on releasing any one type of music exclusively, so we needed our 'branding' to not suggest any pre-conceived ideas to our audience. 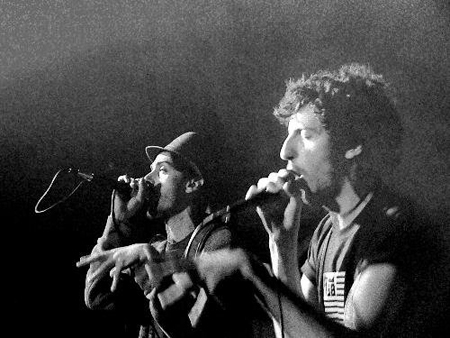 If we called ourselves 'Death-Rap-Inc' and then wanted to release a Mesparrow 7", we wouldn't have got very far. The idea being that each artist within the collective can do whatever they want stylistically, that they can develop their own personal 'branding' and the Stamp will be a neutral backbone behind it. Trip-Hop.net : You seem to have many different activities as a musician and a label owner, like producing your own music but also mixing - mastering other artists, playing - adding instruments or field recordings, promoting releases, maintaining the website not to mention your own blog. Could you describe your role in the label? Hehe! My role within the label would be anything from 'Commander-in-Chief' to 'General Dogsbody' depending on your point of view, or my mood on any given day! In terms of Decorative Stamp, the overall umbrella itself, I am in charge of all of its daily operations. I maintain the websites, write all the copy, post news, organise release dates, liaise with the whole family regarding collective activities; motivate the troops, etc. In terms of each release, my input varies. My heaviest involvement in a release would be something like the 'Foreshore Reverie' from Murmur Breeze, where I was responsible for mixing the whole album, adding additional instrumentation and field recordings, bringing in other musicians, arranging some of the compositions, mastering the whole thing, and then helping to design and manufacture the physical releases, designing the press-kit, interviewing the band, promoting, marketing. The much more simpler releases for me are the likes of the 'Six Pack O' Death' from Evak & Edison, or 'Lone' from Home. In these situations I simply receive, with overwhelming delight, a set of MP3's in my inbox which absolutely blow me out of the water, find myself sending a email largely screaming 'YES!' and then work on the marketing and promotion whilst waiting for a box of discs to arrive in the post. Both types of releases are a real treat for me. It is so nice to be so deeply involved in a project, like the A Native Hundred album for example, which was a real start-to-finish exercise, and then, at the same time, it is so nice to be presented with a finished release with which to form a deep bond with. All of the releases are so, so very special to me, they really are. Trip-Hop.net : It's probably a full time job, is it? What does a typical day at decorative stamp headquarters look like? Wow, honestly. It really is more than a full time job. Our apartment is Decorative Stamp headquarters. We have the studio in one room and the office in another. I wake up in the morning, drag myself into the shower, fix myself a black tea and then settle down at my desk to begin the days work. Emails and facebook first, check what developments there have been overnight. Reply to any urgent transmissions, post the news of the day and then look over the long and short-term 'to do' lists. Mostly working towards whatever the next releases are to be, preparing press kits, chasing the artists, running errands. A lot of emails, a lot of trying to keep everyone happy. Trip-Hop.net : Your label releases artists blending as many styles as alt-rap, shoegaze, folk, post-rock.. How do you select the artists? Do you often get requests from artists looking for a label? Do you have standards? The overall blend of styles of the label largely comes from Honey and my mutual tastes, which we established during our first meetings and subsequent work on the 'Rough Tongue Surfaces' (Jamesphoney & jamesreindeer) album. We found a lot that we had in common and introduced each other to a wider selection of music still. In collaborating with various artists from around both the new and old worlds we found a network of other 'like-minded' artists, some of whom became collaborators, and some of whom became even greater friends. We never really set out to select artists for Decorative Stamp, it just really grew out of our friendships. For example, before Honey and I had ever even exchanged word with Babel Fishh we were both huge, huge fans of his work. So, if you had asked us at that time, I'm sure we would have said that of course we would want to release some of his material, but we didn't know him, so that was that. Then, ostensibly due to getting to tour with him a number of times, we found that we had become really close friends, and then it was suddenly so obvious to put some Fishh stuff out on the Stamp. It has been the same with every other member of the collective. They are all first and foremost close friends, which is why releasing their music is such a joy and such a relaxed affair. It is true that we have had a number of artists, both 'unknown' and 'well respected' approaching us with a view to perhaps joining our ranks. For the most part it does boil down to how much work I personally can handle at any one time, of course the quality of the work of the prospective artist in question, but also whether we have a 'real-life' relationship with them or not; how closely connected we are. Trip-Hop.net : Looks like your old friend James P Honey's project, a Band of Buriers, is going well: what would you do if the Buriers suddenly became an universal super-group, making Decorative Stamp an universal super-label and allowing you to release any artist? Hehe! An interesting proposition indeed! I do, on relatively infrequent occasion imagine what Decorative Stamp could be like with genuine financial investment. In truth, I imagine that you would hear exactly the same music coming from our stable, but see a dramatic increase in the lavishness of our releases. I am an undying fan of the 'gate-fold double 10" vinyl' format, so that'd probably become the standard format for our releases, for starters! Essentially I am really happy with all that we are able to accomplish with ostensibly no budget. But, at the same time, it would be nice to have a fancy website, to be able to commission nice videos for our artists, to be able to afford to 'pay off' a few magazines and radio stations to give some column inches and airplay to our artists. Yes, I guess that would be the biggest change, using our financial power to influence the more mainstream press to listen to what we are doing. Edward Bernays goes weird-rap, on Wall Street. Trip-Hop.net : What couldn't you delegate to anybody, even if the label did expand a lot, which part of the work would always be yours? Haha, the final say probably! In truth, I have learned over the years to be sure of both my strengths and weaknesses, both as an artist and as a person, and am confident that one of my stronger talents is that of being able to visualise complete projects from inception to completion. I like tothink that Ihave a good grasp of what makes a project work and am therefore keen to bring projections to completion in the way that I sincerely think suits them best. There is something very different from writing a song, to producing an album, to designing packaging, marketing and promoting and all that comes thereafter, and a lot of these hurdles can seem quite vast when one is on their first or even second album, and I like to think that my experience could be seen as invaluable within the realms of what we are trying to accomplish collectively. I am also very lucky that, not only do our artists tend to trust my opinions, but also that they seem to largely match their own ideas and desires for their individual projects. So, it's worked out pretty well so far, and I think it would be fair to describe that as something I would only very reluctantly let go of! Trip-Hop.net : More seriously, who'd have told that two guys, with nothing but strings and voice, could produce such powerful music? 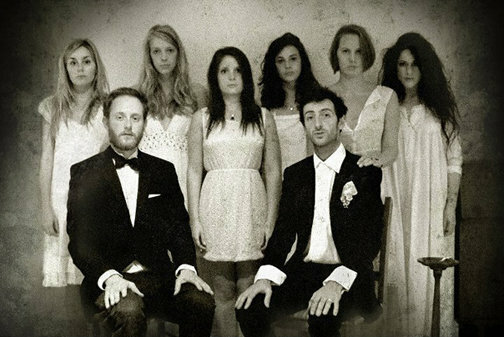 Can you tell us more about this most awaited Band of Buriers' second album? In a word, no! 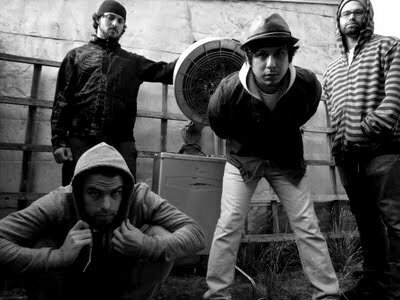 In truth, the new Buriers album has been pretty much under-wraps from its inception. I have a vague inkling as to what some of the songs will be, and a further rough idea for how the overall album will sound, but I could only speculate along with the masses at this stage! James (P Honey) has grown to be an incredibly good friend of mine over a short number of years and I consider myself very privileged that the time-frame in which our friendship blossomed was also the time-frame where he also first began to pick up the acoustic guitar and start singing some lines, some first tentative steps at what would become the Buriers. It has been a real pleasure to see him spread his wings from a little chordplay on guitars found laying around, to seeing him sing his first acoustic song on-stage at the Oetinger Villa in Darmstadt towards the end of 2009, to the first, rather unpolished but wholly charming release, to this really pivotal moment on the cusp of the new album. Perhaps, with all the insider-information I can muster I will speculate that it will be a much darker, much denser affair, one that will really cement their reputation as bringing something truly remarkable to the table, and how I sincerely hope it will force a lot more people to sit up and pay attention. Trip-Hop.net : One of 2011 important moments seems to have been the re-release of Papervehicle's eponymous album on Decorative Stamp. Seems like it meant a lot to you, did it? Oh wow, absolutely. So very much indeed. That album really is such a special thing for me, and for a lot of really close friends and many others besides. In fact I do describe it as being my 'favourite alt-rap album of all time', even after much long and careful consideration! From my very first listenings to it all those many years ago, I was absolutely blown away by it directly. The music, the vocal styles, the lyrics, everything just screamed 'perfection' to me and how I wanted nothing more that to soak up every moment of the album across long seasons. How I could then consider myself so lucky to be able to strike up good friendships with them over time which eventually lead to the re-release. I think when James and I first started to see the Stamp as a label or collective, we kind of somewhat secretly already knew who we would maybe want to be on board and I think being able to get Papervehicle into the fold was definitely something of a tender silent wish from the outset. Trip-Hop.net : Let's talk money: does the CD choice have something to do with financial question, what is the average release number? Do you often sell out an album, do you often win - lose money? Money indeed. Always the bottom line. Absolutely, the CD format is completely based on the limited budget we have to work with. We simply cannot raise the initial investment to press our releases onto vinyl, even though we could be quite sure that an equal level of demand would most likely be there, perhaps even more so than for CD's. Each release is made available in different numbers, depending on the release and the wishes of the individual artist as well as my own advice. Our most limited release was the Pumpernickle cassette of which there were 25 copies, which sold out almost immediately. Our most numerous release is the 'Rough Tongue Surfaces' of which there are 500, and a fair number still available! We try to keep our prices as low as possible, depending on the complexity of the physical release; how much paper and ink is needed, but it is possible to turn a small profit on each release. Not much to speak of, but enough to re-invest into the next release and to cover some of the general running costs of the operation. It is a ruthlessly streamlined business model, because it has to be, but it does bode well that, providing we keep expanding our audience, keep active and keep producing high quality work, there is a chance we could build up enough 'capital' to be able to make the move to vinyl before the oil runs dry. We shall see. Trip-Hop.net : Your last project Iron Filings and sellotape, though rather atypical, was much appreciated here on trip-hop.net, and was even elected September's album of the month. Did you expect it? How would you explain it? Wow, not at all. Not at all. In truth, due to the anonymity of the group and the fiercely experimental nature of the project, I was envisioning it to be our most obscure and least celebrated release, which would have been fine with me and the rest of the group, well aware of our place in the big scheme of things. In truth, Iron Filings and Sellotape was an ongoing experiment with myself the only member keen to turn it into an 'album project'. I had gathered some of the recordings from the compound and gave them to Honey to audition some years ago and how he really liked what he heard and was absolutely in agreement with me that we should release something on the Stamp. It was in fact his constant enthusiasm that we get the album finished that caused it to emerge when it did. It could still easily be behind the scenes right now. In terms of trying to explain why it might be so surprisingly popular, I cannot be sure. Perhaps it is simply due to the nature of the project itself, that it is not so much presented as the artistic creation of a group of individuals, but rather a alternatively-assembled image of a world that we are all familiar with though a set of specific filters that produce a set of emotions we can all relate to. For me, the album sounds like a cut-up montage of certain emotionally-charged aspects of human society over the past 75 years or so. I think that perhaps the album speaks to people in a way that a news-report does, or the way that a well-made documentary might. It is raw, unprocessed snapshots of reality, not hidden behind the façade that is the image of 'a band' or 'an artist'. Iron Filings and Sellotape remain anonymous because it does not matter who is responsible for assembling the work, the people responsible are very directly the individuals who unwittingly provided the recordings themselves; Ayman Zawahiri, Robert Macnamara, Eisenhower, etc. Trip-Hop.net : It also sold out hence this new release: what's different with this second edition? Trip-Hop.net : Would you tell us something about the collectives name? Is "Iron filings and sellotape" referring to the experimental aspect of lo-fi recordings, hand-made packaging? Indeed. I must divulge that I was actually responsible for the name of the collective which I brought to the table in the summer of 2003, I believe. I had found myself staying up way late into the night in front of the television, and, in England, one often finds educational programmes on the BBC in the middle of the night. So there I found myself watching a science show aimed at high school children which was explaining the principles of magnetic tape recording. The presenter was in a kind of workshop, replete with heavy duty apron and protective glasses and was adding iron filings to sellotape to demonstrate how it was possible to record with such a medium. The scene is blurry in my mind now, but I recall him 'recording' something onto the tape and 'playing' it back to produce a sound of almost 'white-noise', and how fascinating I found it to be. Immediately I knew that the name would perfectly describe the project as part of the 'feel' we were aiming for was that of discovering an unmarked reel of audio tape in the bottom of, perhaps a collapsed air-raid shelter, and how 'rustic' it might sound. Trip-Hop.net : Who are the people that worked on this project with you? You described it as ten years work, how did you carry it out? Did the outcome look like what you initially planed? In truth, I cannot be forced to reveal my co-collaborators on this project. I myself would also remain anonymous were it not for the fact that it is clearly my voice to be heard on some of the songs. As I mentioned before we were all keen that the focus be completely away from those responsible for assembling the work and completely upon the reality of the audio contained therein, therefore we decided to actively remain anonymous as a way of perhaps aiming to hint towards our true motivations. The album does indeed represent ten years work, start-to-finish. Although there are far, far more recordings that have been compiled than made it onto the album. We pared the body of work down to thirty-two tracks, twenty of which made it onto the final version of the release. One aspect of the album which governed the pace was due the agreement that we would only work on the album in the summer months, June through September in England. A large number of the themes of the album and a large number of the actual sounds were inspired by the heat of the sun and so, once each winter rolled around production ceased until the thick of the next spring was upon us. As I also mentioned before, there was initially no plan to turn the project into an 'album-based' enterprise. It was just to be a collection, an archiving of manipulated audio material, something to experiment with conceptual ideas regarding the assembly of found materials, and something to evoke a particular set of moods and emotions upon the listener. Still, after some years had passed, it became clear to me that the work was of significant interest to try to assemble portions of it in an album form, and certainly, the finished album as it is today is very much what I had envisioned it might be from my first tentative speculations. Trip-Hop.net : Would you tell us a few words about the general meaning, like the historic recordings, the moments or events or countries, referring to past or present times, personal or collective memories? Most certainly. The predominant narrative within the album is loosely built around the conflict within the Middle East from the last century beginning with the signing of the Balfour Declaration after the first world war; the idea of foreign western powers, ostensibly the United Kingdom and United States, and their desire to apparently police and ultimately govern the world. The Middle East is of course also a highly-charged issue because of the religious ramifications of the various conflict. It was important to us to not been seen to 'take sides' regarding the key issues, but rather attempt to highlight the overall chaos, misery, madness and rhetoric of these events, as well as being able to musically create some emotive pieces with music from the region mixed with more western-influenced psychedelic sounds. Some of the key elements of the album stem from recurring excerpts from President Eisenhower's now-legendary Farewell Address which foretold the 'Military-Industrial Complex', recordings of Ayman Zawahiri, founder of Islamic Jihad in the Egyptian courthouse where he stood trial on a series of charges, audio recordings of the subsequent assassination of Sadat, US fighter planes targeting potential threats during the Iraq conflicts. All of these recordings hold great historical significance and, depending on the age of the listener, as also burned into the sub-conscious to greater and lesser extents. It would be worth noting that we were not attempting to spell out a clear narrative structure, but rather create a heavy blend of images which would saturate the listener in waves of different experiences, memories and sensations. 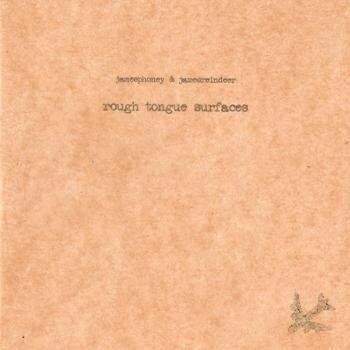 Trip-Hop.net : Amidst the Grease and Chaos reminds me the Rough tongue surface album you did with James P Honey, is there a relation between the two albums? I guess in a certain number of ways there is, yes. Although both albums were conceived entirely separately there are a certain number of stylistic elements as well as themes which overlap both projects. I suppose that I have never really analysed it before, but in truth there is a clear relationship between some of the elements in both albums. 'Rough Tongue Surfaces' is also a very psychedelic affair, albeit a synth-based one, but how it does also flow much in the same way as 'Amidst the Grease and Chaos', often-times with the songs rising up out of radio interference and crackle, but, moreover, a lot of the themes of the album do quite closely-relate to a lot of the themes in the Iron Filings and Sellotape album, predominantly the 1950's / 1960's atomic age / cold war elements, notably Eisenhower, John F Kennedy and Robert Macnamarra appearing on both releases. 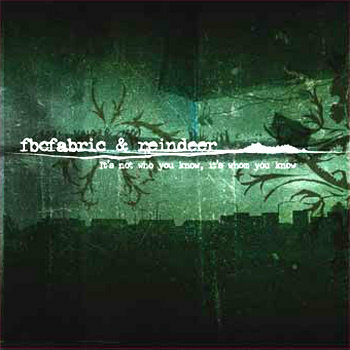 Trip-Hop.net : From fbcfabric & reindeer (2005) to Iron Filings and Sellotape (2011): what is your own jamesreindeer's favourite album? Wow! Such an impossible question to answer, like being forced to choose which is one's favourite child! It would be so very hard for me to say, perhaps because each of my releases is so very different in terms of what each was created to achieve, to convey, to evoke. I am so very proud of them all and wholeheartedly believe that each is the very best that I and my fellow collaborators could have achieved at the time. Perhaps I would have to pick the fbcfabric & reindeer album if I were forced to, simply because it was my first album and personally represents to me a great deal more than that which is contained within the music. I am also very proud that it has gone on to be considered something of a 'classic' within the small genre it occupies, an honour which is very hard to put into words. But again, I would be keen to emphasise my fondness for them all equally, and all that I intend shall follow. Trip-Hop.net : What would you do if you had time enough to release just one last jamesreindeer album: would it be something like an alt-rap release with one producer, a collective release, a solo release? Hehe! I guess if I had time for one more jamesreindeer release it would actually be the long-term album project I am currently working on right now. It has long been my intention to release a 'jamesreindeer solo album', working alongside those who have become my closest musical collaborators and friends over the years as well as experimenting with working with a few new friends to invest some interesting new possibilities into a project. I shall not say too much for now as things are only barely escaping the pre-production stages, but I can reveal that my intention is to prepare my musical 'magnum opus', if you will. A grand 'first and last' kind of album scenario to fully explore the wider themes of my written work over a backdrop of the most affecting soundscapes that can be mustered in the time provided. Thus-far all of my releases have focussed on quite narrow topics to form their wholes, whereas on this album I am carefully preparing texts which shall act as a kind of umbrella, collecting together all of the various strands in one overall vision. Ambitious ideas indeed, but I am a great believer in biting off more than you only think you can chew. Trip-Hop.net : What else could you possibly have been if you hadn't been an artist? A tough question for sure. When I was much, much younger I was convinced that I would be an actor. I guess that idea began to fade into the background when I began realised that I was far too introverted and far too unwilling to co-operate with non-like-minded people, and also that I wouldn't be able to write, direct and produce everything I acted in! I have always had the fondest love of literature and could vaguely imagine myself as some sort of English professor, but then I know that I am an incredibly bad teacher, as I simply don't have the patience for it. Perhaps Architectural Historian might well have held the greatest interest for me too. Haha, there is still time! Trip-Hop.net : I know you're always working on many projects, and I guess Decorative Stamp's got a bunch of things already planned. Would you mind unveiling a few ones? Wow, for sure. After a slow start creeping out of the winter it seems that we shall have a serious amount of releases to unveil before the year is out. Everything is very much an 'organic' process here, so we don't plan too far ahead as to when a release may be ready, but it seems that there are so very many exciting projects being brought to completion in time for a 2012 release. I cannot be concrete on dates at this stage, but we can expect new releases from Babel Fishh, Evak, The Beastmaster, A Grey Wilson, Bill Van Cutten, James P Honey, jamesreindeer, Coffin Cutters, not to mention to the very special 'Decorative Stamp Volume Two' and quite probably a lot more besides! Busy times and really wonderful music. Trip-Hop.net : Out of curiosity: what is the last album you put in your headphones? Haha! That's really tricky to answer. In truth, in my headphones, I tend to listen to whatever the latest Decorative Stamp releases happen to be at the time. Either because I am the one mixing it and need to constantly monitor for alterations, or because it is something fresh and new from one of our family and how I am beside myself to enjoy the magic within. Working at Decorative Stamp headquarters, I tend to listen to the radio, or rather one particular radio station, KABL, San Francisco; pure oldies, big band, swing, jazz, very relaxing, a window to a distant time. 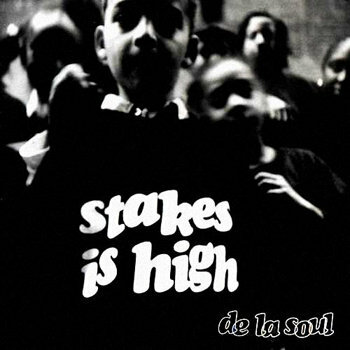 I think the last actual album I put on was 'Stakes is High' by De La Soul. It was such big album for me when it came out, but I hadn't listened to it in years, so it was so very nice to hear it again, so many memories indeed. Kind of unusual for me, but the most recent album I've also been listening to that is new to me would be the Miles Davis soundtrack 'Ascenseur pour l'échafaud', which is rapidly becoming something of a favourite and definitely worth investigating. Trip-Hop.net : And of course, finally: when will you visit us here in France? Soon! Soon, I hope. The year is racing by so fast already, but there is talk of both Babel Fishh and The Beastmaster returning to the old world this year, so I am very much hoping to take to the road with both of them at some stage; more likely to be summer into the autumn. There will also hopefully be some touring activities with The Ohlsons in support of the project we are currently working on together. We are also hoping to arrange a big Decorative Stamp party in Paris, as we have many times before. Rest assured, you will all be the first to know!